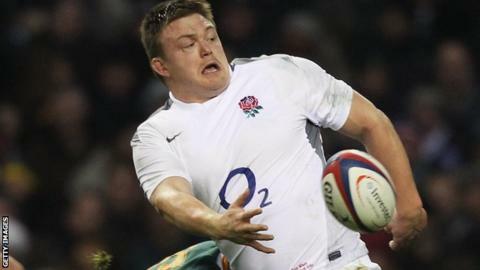 Bath prop Dave Wilson is to be promoted to England's elite player squad in place of Matt Stevens, who has retired from international rugby. Wilson, who has made 19 Test appearances, was originally named in the England Saxons squad. England face Fiji, Australia, South Africa and New Zealand at Twickenham between 10 November and 1 December. Wilson, 27, has not appeared for the England senior side since facing Romania at last year's World Cup. Saracens forward Stevens won 44 caps for his country and played in the 2007 and 2011 World Cups. The 29-year-old had been named in Stuart Lancaster's elite player squad for this season, but said last month he could not commit himself through to the next World Cup in England in 2015. Saracens' Mako Vunipola is to fill Wilson's place in the Saxons squad. England head coach Stuart Lancaster and his coaching staff will travel to South Africa to watch the Springboks' match against New Zealand in the Rugby Championship on 6 October. South Africa visit Twickenham on 24 November and New Zealand on 1 December.